Microbes are employed in myriad ways to make useful and valuable products. Various genetic approaches are used to increase phenotypic diversity and optimize product yield and cell growth in bio-production systems. 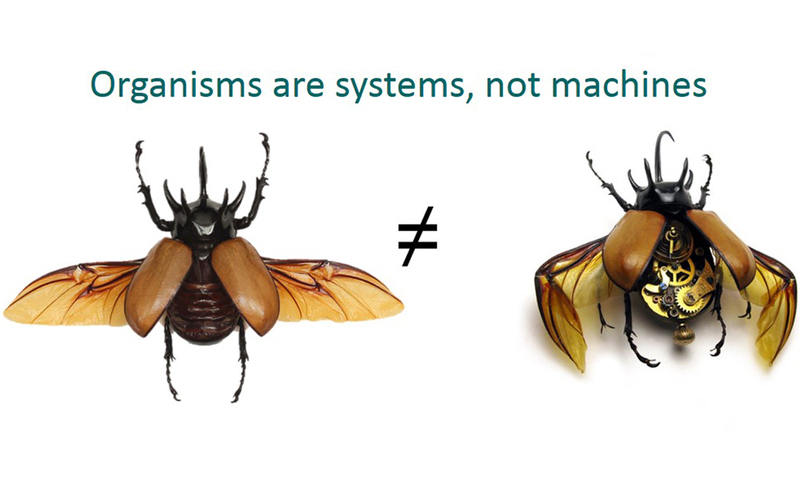 However, current genetic methods are limiting in achieving such optimizations, mainly because biological systems tend to be robust and their properties resistant to genetic changes. 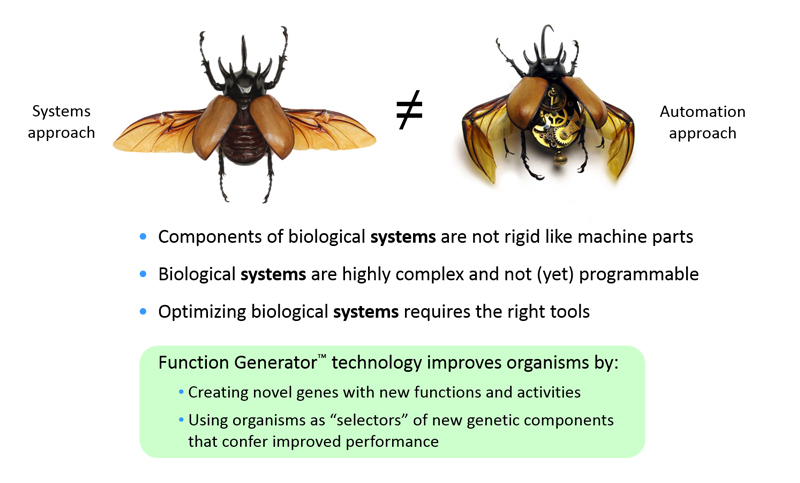 The Function Generator™ technology represents a powerful new empirical way of increasing phenotypic diversity for productivity enhancements and growth optimizations of industrial microbes. The technology employs a mechanism for modifying biological function which is natural, yet rarely observed in nature. Compound genes are assembled from a genome-wide set of native coding sequences. Novel genes conferring improved phenotypes are constructed in a manner that reduces the ability of an organism to compensate for changes in its regulatory machinery. High-complexity combinatorial expression libraries of these Function Generator™ genes are then transferred into an organism of interest followed by selection or screening for desirable characteristics.